IGDApendence Picnic, and a BRAND NEW Location! First of all, we’re having our IGDA picnic in the park THIS WEEKEND and you’re all invited! It will be held in Ramada 13 in Kiwanis Park. That’s the very first little covered space in the parking lot just off of Baseline Road, between the North Soccer Field and Kiwanis Lake. Here’s a map, if you need one. There will be grilled foods, frozen foods, balls and discs to be thrown around (and other athletic-type things), and just some great chances to hang out and have fun with your favorite local game devs! We have a liquor license as well, so feel free to BYOB! Bring your family, bring your coworkers, bring your friends! It’s IGDApendence, baby! Hey guys! Did you know our very own Arizona-based start-up has released a game on iPhone/iPad/Android this month? 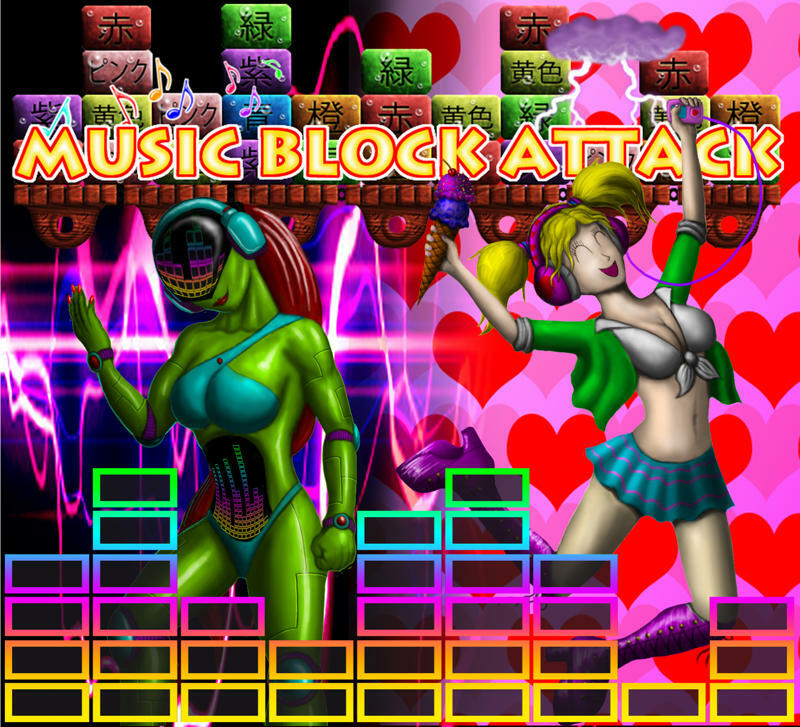 Music Block Attack, made by Super Fun Games, has hit the Apple App Store and Android Market. If you have a mobile device, be sure to check this awesome game out. Speaking of Music Block Attack, our July meeting is abounding with awesomeness! PJ Vilsaint, a familiar fellow ’round these parts, will be giving a talk about a his experience with starting his company Super Fun Games, AND a postmortem of the Music Block Attack development and release. AND that’s right, it’s in a new location! Rosie’s is great, but not a totally ideal spot for the summer months. Claim Jumper has a nice separate meeting space, a delicious menu of American fare, and most importantly, air-conditioning! ;D It’s located right next to AZ Mills Mall in Tempe! I can’t wait to see you all there! Stay tuned for more info about our SUMMER GAME JAM! We’ll let you guys know as soon as we know via Twitter and Facebook, so keep an eye out! Making games is a great way to beat the heat! Keep cool out there and we’ll see you all soon!